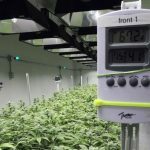 Growing cannabis or weed is picking up in many countries and many people are using different kinds of growing methods that are different from the traditional methods. Many of the farmers are also choosing to grow their weed indoors rather than outdoors. Some use methods like hydroponics while others use soil. Weed needs nutrients and water in order to grow into healthy high yielding plants. Majority of the plants need soil to grow and top soil is mostly the one that has all the nutrients that feed the plants. Other elements found in top soil are clay, organic remains and rock particles. 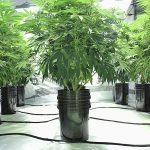 However when it comes to growing weed, there is a lot more to consider than just the nutrients found on top soil. Some of the things that make the soil are its texture, nutrient makeup, pH level and drainage capabilities. These traits work well with almost every other plant but weed growth needs much more than these traits. Cannabis needs soil that has richer organic elements to boost the growth. Another plant that thrives well in the same kind of soil that weed does, is the tomato. You can start the growth of your plants on the top soil but later replant them on patios or containers where they continue to grow with the help of potting soil. The soils, which are mostly ready to grow, contain nutrients that have higher benefits than those on top soil. It is very important to note that majority of potting best organic soil do not start the growth of the plants. This is because the richness of these nutrients in the soils is too much for the seedlings to grow properly. 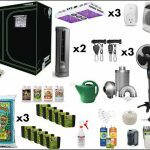 Before we go to what you should look for in the BEST SOIL FOR WEED, we reviewed some of the best potting soil products in the market and came up with the ones list below that will not only make your marijuana plants to give more yield but will also make indoor weed farming a fun thing to do. If you want to give your potted weed the best care, give then enough nutrients right from the ground. You can do this by feeding your crop with Happy Frog Potting Soil, which is rich in fungi and beneficial microbes. The two ingredients help to break down the organic matter in the ground so that the weed roots can get the nutrients they need. Some of the organic matter contained in the soil is bat guano, earthworm castings and forest humus. Foxfarm manufacturers high quality products so you do not have to worry about your weed getting ineffective ingredients. The soil, highly recommended for weed planted in containers, comes ready to use. The pH of the soil adjusts instantly allowing a maximum intake of nutrients by the crops. The benefits derived from the soil are stronger plants, active vegetative growth, better, and more production. The soil has an aerated pH., light texture and ideal for all container plants. It contains no top soil, no fillers and no sludge. The soil comes in a 2 cubic foot bag and weighs 45 pounds. Over 10 years ago, a cannabis farming formula, SubCool made organic soil famous. Ever since, many weed farmers continue using the soil for the better growth of their weed. The ingredients of the first organic soil are different, as they have gone through modification but with SubCool still in the mixture. 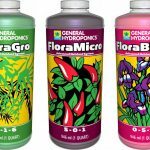 Super soft organic concentrate is one of the best soil products in the market for weed growing, with this soil, all you after planting your weed is water them and wait to harvest. The soil contains potent microorganisms very similar to the original SubCool formula but with other added ingredients. The ingredients are High Quality Bat Guano, Organic Earthworm Castings, Bone Meal, Fish Bone Meal, Kelp Meal, Alfalfa Meal, Dolomite Lime, Epsom Salt, Aloe Vera, Coconut Water Powder, Blood Meal and many microorganisms. The soil comes ready to use and on opening, it has a strong smell that disappears after the mixing. You have to understand that the smell is normal because of the number and mixture of ingredients. 5 pounds of the treated super soft soil fills 25 gallons. Besides instant usage, the soil does not require much and therefore very convenient to use. Plant, water and harvest are what super soft organic concentrate gives you. 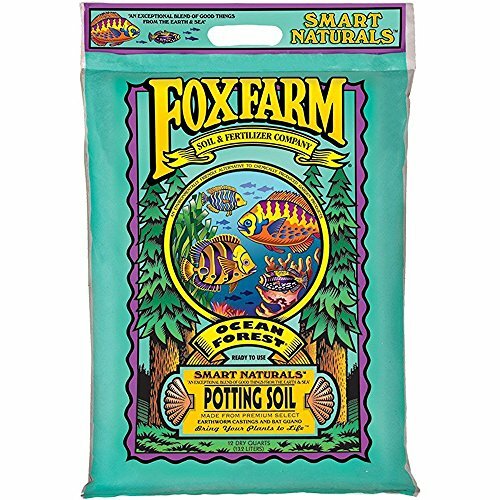 Coco Loco is another great soil product from Fox Farm Potting best for self-watering marijuana growth. The potting mix which you can use as soil replacement contains potent ingredients such as Earthworm Castings, Coco Coir + Perlite, Norwegian Kelp Meal, Dolomite Lime, Oyster Shell and Fossil Bat Guano among others. The ingredients are full of nutrients and lower the soil humidity, which in turn reduces the possible attraction of root rot and mold. The mixture, which also keeps insects at bay, allows the weed to grow unperturbed. The Coco Loco Plotting Mix can hold more than its own water weight and still drain effectively. The Coir in the potting mix acts like little sponges that offer the much needed water and nutrients to the weed. The product weighs 40.2 pounds and it comes in a 2 cubic foot bag. For the natural growth of marijuana, Mother Earth Coco Perlite Mix is a potent MARIJUANA POTTING SOIL and it does an excellent job. The rhp certified product is a natural plant and one of the best alternatives to potting soil and other traditional weed farming Medias. Containing 100% natural coconut coir, the product is purely coconut fiber from coconut husks with no artificial additives. The formula of the product ingredients, which is 70% of the finest Coco Pith and 30% of Perlite, allows the crop to get better aeration and drainage. This in turn allows the crops too grow without the farmers watering them all the time. The weed also feeds more due to aeration and drainage. Mother Earth Coco + Perlite Mix has a great texture, good porosity and a high-cation exchange capacity, creating the perfect growth environment for marijuana. If you are looking for a soilless product that will promote your weed fast growth and root development, do not go around in search of many products because you will have everything you need from Roots Organics. 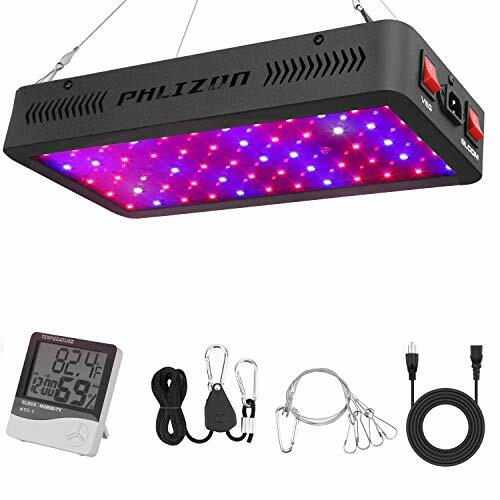 The product, which is good for both potting and HYDROPONICS setups, contains an array of ingredients that give the plants great performance and heavy feeding. 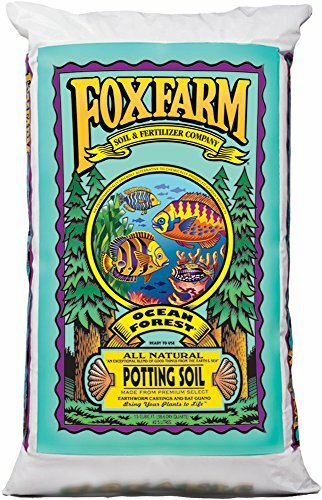 Containing the highest quality Coco Coir, this soilless mixture also contains other ingredients such as Perlite, Extra-Long Fibers, and Pumice Bat Guano, Kelp and Worm Castings. Coco fiber also acts as a great replacement for peat moss. It is environmentally friendly, has a low lignin content, which is slow to decompose and it is pH stable. If you are that weed gardener looking for the ideal nutrient intake for your weed, then try roots organics. 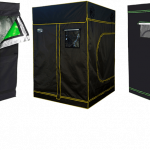 Best for professional and novice marijuana growers, Big Rootz is your growing success to an excellent produce. The product is versatile and you can use it outdoors, in green houses and indoors. You can also add the potting soil to the existing soil for better growth. The product goes through strict quality control before it gets to the farmer. The control includes the addition of natural and organic materials that add to its potency. The ingredients in Big Rootz are Triple Washed Coir, Peat, Worm Casting, and Compost. Further enriching with Mycorrhizae and a pH adjustment maximises the root growth of the weed. The ingredients also increase water uptake, plant vigor and nutrients. With the kind of perfection that goes into making big rootz what it is, devoted weed farmers will not have their weed grow without anything else. Roots Organics Rod Original Potting Soil yet another quality ready to use coco fiber based potting soil enriched with amazing ingredients. The coco fiber, which goes into making this potting soil, goes through repeated washing to lower its EC and 24 four of composting. The mix then gets an additional Extra-Long Fibers and a blend of Premium Earthworm Castings, Bat Guano, Fish Bone Meal, Feather Meal, Glacial Rock Dust, Mycorrhizae, Soybean Meal, Humic Acid, Green Sand and many others. The soil contains correct blends of pumice and perlite that help with drainage and an active root system. 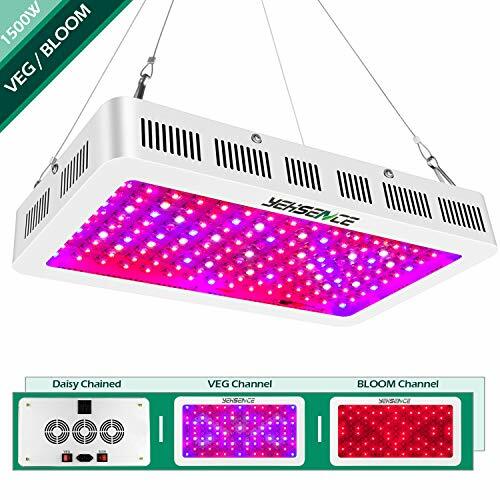 The product encourages the growth of healthier plants and better yields. The ready to grow potting soil comes in 1.5 cu camouflage print bag, weighing 30.8 pounds. For lush beautiful foliage, choose Miracle-Gro Spike Products and you will never go wrong. What is even promising is that the product comes with 6-month guarantee if the performance does not please you. The product contains rich micronutrients that feed flowering plants. It also helps with the plants foliage and root strength. The spikes feed the weed plants for a continuous 2 months, resulting in better yields from healthier crop. Weighing 5.8 ounces, the spikes are great for all kinds of houseplants. 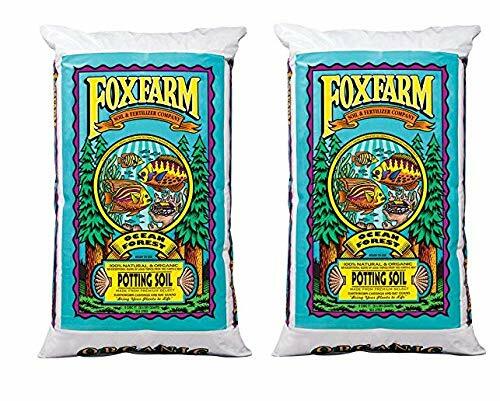 The convenient quality tested organic potting soil comes with fertilizer for the best performances you would ever get from your weed. Made in the USA, the product contains a rich loamy blend that go well with all kind of gardening applications. For optimum potency, the product contains Pumice and Perlite among other ingredients. You can use the product in hanging baskets containing weed plants, patio containers; use it on your herbs and even vegetables. Every ingredient in the potting soil is organic. 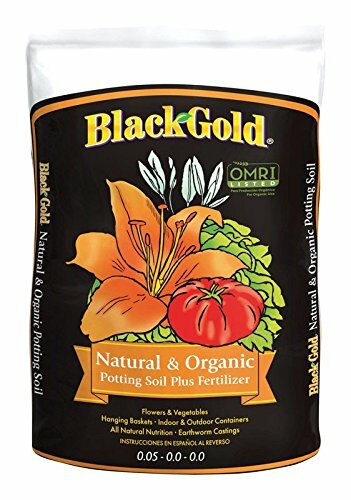 The above is yet another quality potting soil product from black gold that is rich in nutrients and is all purpose including hanging baskets, houseplants and patio container plants. This means that besides weed, the potting soil is good for all kinds of plants. Enriched with worm castings, Canadian sphagnum, peat, pumice and humus, the multipurpose potting soil gives the plants nutrients facilitating better growth and more yields. To give the plants a better start, a slow release fertiliser is added to the potting soil. 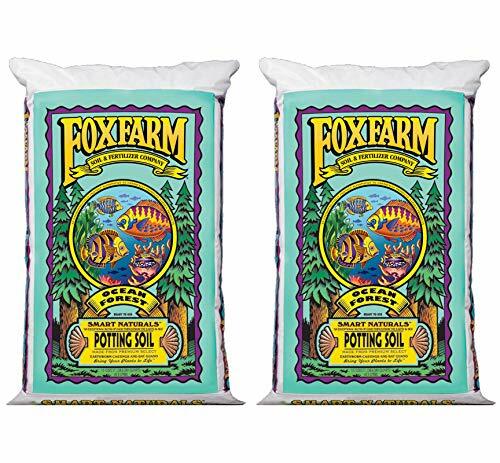 The potting soil weighs 5.65 and is a USA product. Weed growing, like many other crops needs nutrient rich soil and good drainage for better yields. Before you go out in the market, there are things you should know that would guide you into buying the right soil. Below are some of the factors. Some of the most popular soil textures are clay, sand, rock particles and silt. Soil varies from place to place and from climate to climate. The best well balanced soil has 40% silt, 20% sand and 40% clay. The combination of this rich texture is called loamy soil. If there is too much clay soil, it will affect the drainage, too much silt will cause impaction, poor aeration and drainage and if there is too much sand, the soil’s moisture retention will decrease and drainage will become excessive. To improve on the soil texture if you want your crops to grow healthy with enough water, moisture and nutrients, you should add organic matter to the spoil. If you have deficits of any soil textures, do not add the type of soil lacking without adding organic matter first for natural decomposition and less soil chemical reactivity. Knowing the kind of soil texture you are using for your crops will guide you on what ingredients to get in order to add strength to the crop roots and the soil. The ideal soil composition contains minerals, water, living organisms, air and organic material. These elements make up the soil composition and provide it with enough infrastructures for proper growth of your crops. Minerals in the soil include calcium, carbon, nitrogen, manganese, sulphur, phosphorous and potassium. 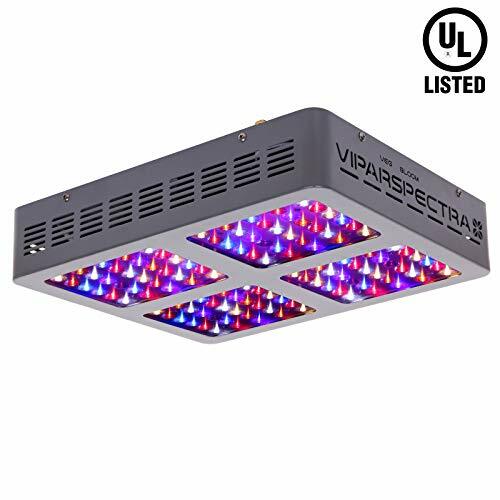 All these are essential for proper growth as they provide the soil with proteins, chlorophyll, and water regulation, the soils internal chemical processing and keeping the pH levels in check and the blockage of organic chemistry from affecting the soil. Organic matter is another important soil composition that helps to strengthen the crops by giving them nutrients, and adding to the nitrogen levels in the soil. Organic matter, derived from decaying and dead plants and animals is very essential and without this, your weed will not grow with the strength it deserves. Other things that organic matter adds to the soil are sulphur and nitrogen, which are all vital ingredients for effective growth. Organic matter, which is also humus, gets into the soil after microorganisms break it down. Not every soil texture has enough organic matter to promote healthy growth and therefore the reason to add it to the soil. Air is as important to crops as it is to every living thing. Crops need oxygen, nitrogen, water vapour and carbon dioxide for growth. All these are found in the soil spaces and there should be a proper balance for the crops to thrive well. In most circumstances, soil has more carbon dioxide than other gases because of the soil microorganism’s respiration. Water, another essential soil composition acts as the solvent for plant nutrition. Without enough water, the crops will grow up looking weak and retarded. All the microorganisms in the soil also need water for survival and it is therefore important that the soil you choose for the growth of weed should have the ability to retain water in the soil. Microorganisms include fungi, bacteria, arthropods, algae, worms, nematodes and protozoa. All these provide the soil with energy for the growth of healthy plants. There are more microorganisms living in soil than in any other place. This is one of the most important factors to consider when you go buying potting soil for your weed growth. The options in the market may overwhelm you but knowing the kind of soil you are dealing with will lead you into buying soil with the right ingredients. One of the other most important factors to note is that any soil you buy should be organic. Once you establish the texture of the soil and the organic brand you want, then go ahead to check if the product contains all the right ingredients needed by both the soil and the weed. 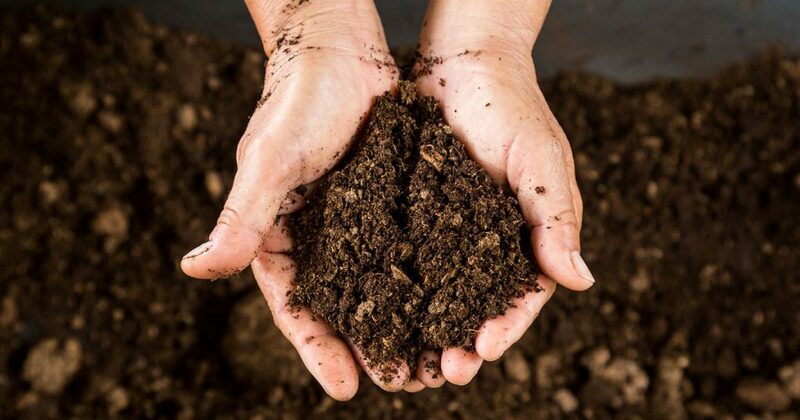 Some of the ingredients that organic soil suitable for weed growth contains are Bat Guano, Perlite, Peat Moss, Worm Castings, Fishmeal, Compost, Plant Food, Glacier Rock Dust, Kelp, Coco Coir, Pumice, Dolomite Lime, Mycorrhizae, Vermiculite, Sandy Loam and many others. Different soils come with their own ingredients with some having all the above ingredients and more. The soils are ready to use and you can use some to start growing your crops while majority of them are too strong to act as starters. For these, you plant the crops first in the original top soil and uproot them after they sprout to plant in pots, the patio or any other container. For their continued growth, you use the potted soil, which ensures water retention stays on and the soil gets all the nutrients it needs. Majority of the potting soils are versatile and work in green houses, potted plants and in hydroponics setups. Some of the potted soils need other supplements for the continued growth of the crops. This is because some of them can only support the plants during their early growing periods. After this, you need to supplement the already existing nutrients with others specifically meant for the growth of marijuana. You can add organic fertiliser to the soil or add other ingredients lacking in the soil type you buy. Check the label on the soil packaging says organic before purchasing to avoid buying soil with the wrong balance of nutrients. This will prevent you from buying soil with time-released chemicals that may deter with the proper growth of the crops. Feel the texture of the soil if possible to ascertain how rich it is. Good texture soil forms into a ball when squeezed and crumbles after releasing it from your hands. This means that it is airy, fluffy and light which the soil and crops need. Also look at the color of the soil because it will also help you to decide whether it is good soil or not. Rich weed soil should be dark because it most likely has more nutrients than crumbly pale sandy soil. Pale soil could also mean that the moisture level is low which will derail proper crop growth. The kind of soil you choose for the continued growth of your weed crop can either hinder their growth or help them to yield more. 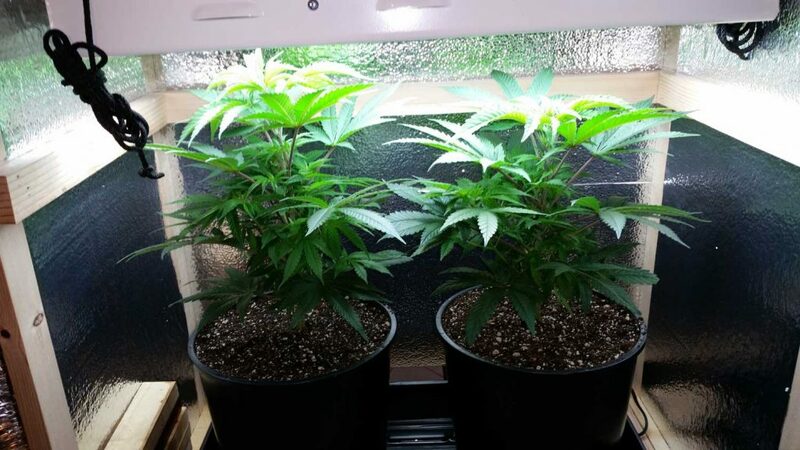 With many people choosing to grow weed indoors, it is advisable that the best option to use is grow the weed using soil. 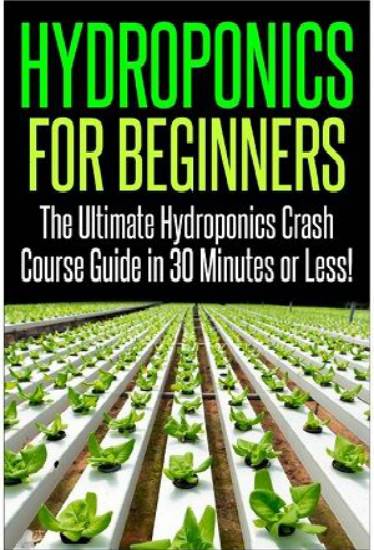 Some may choose to use hydroponics but it is more costly especially for people starting weed growing for the first time. Soil contains nutrients that make the weed flourish and all the above soil mixtures have enough nutrients to have you started. Potting soil creates the optimal environment for proper crop growth and soil enrichment irrespective of where you are growing your crops. All you need to do with most of the potting soil is just water your plants and watch them grow. The rich ingredients in the soil do the rest and if you choose right, you will enjoy growing marijuana. So go right ahead, get the right bag of soil, and get growing your weed. 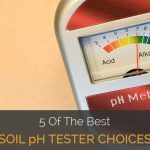 Best PH Soil Tester | Soil Test Kit For Indoor 2019 !